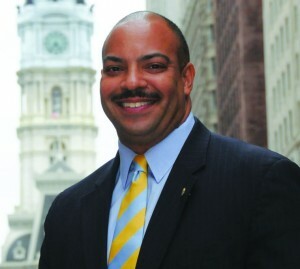 After nine months of battling the office of Philadelphia District Attorney Seth Williams over a Right-to-Know Law request, some important information came to light today from the strangest of places – social media. In separate Facebook and Twitter posts, Williams, who has been taking flack from Penn Staters recently, announced that the “reasonable search” for records conducted by his office consisted solely of asking Frank Fina if he had any. Recall that nine months ago I requested correspondence between Fina, Freeh investigators and former grand jury Judge Barry Feudale. My request was denied, but was granted on appeal. Unfortunately, late in the appeal process, the DA shifted gears and suddenly claimed that it didn’t have the records after all. So we marched to court in December in an attempt to find the truth. Did the records exist, like his office originally said, or did they magically disappear after I appealed? We’re in the process of conducting discovery, and some formal answers should be handed over in about a month. But Seth’s posts today provided some important insight into how it handled my request for public records. When my civil litigation unit initially received the request they denied it because based on the parties, it was clear that the emails sought would not have been records regarding the business or activities of the D.A.’s Office. We also spoke with the employee and he stated that they did not exist. If they exist (Fina says they never did), they have nothing to do with us. Based on those two posts, it seems clear that the DA’s office never really looked for the e-mails when they were requested. Instead, it simply did a “Hey Frank, do you have any more e-mails about Kathleen Kane sitting around in your inbox?” If you were Fina, what would you say to that? Together, they shed light on another perplexing statement that recently showed up in the DA’s formal answer to our complaint. In response to our allegation that the e-mails could be recovered from backup systems, it said it didn’t know. It also specifically denied that the e-mails existed at the time of the request. Since it didn’t look for the records when the request was received, how could it know the e-mails didn’t exist at that time? The most likely reason is that they were deleted sometime after Feudale turned his copies over to Kathleen Kane, as was reported by the Philadelphia Inquirer. It’s also possible that they never existed, as Fina claims. But e-mails that never existed can’t be recovered, and the DA was unsure about the prospect of their recovery. Read together, it’s more likely that Williams’s office is firing up its backup systems and finally looking for the records 10 months after the request was received. Recovering data from backups can be a cumbersome process, which would also explain the need for an extension to our discovery request. This, if true, is great news, because the DA’s office should be able to tell us without a shred of uncertainty whether the e-mails existed or not in the first place. It would mean it’s finally taking its responsibility under the RTKL seriously, and that is a fantastic development. But it shouldn’t have taken a lawsuit to get to this point. When an agency receives a request for information, it is required to “make a good faith effort to determine if the record requested is a public record.” And except in cases where it’s clear that exempt information is sought (i.e. a police report, which is exempt from disclosure in Pa.), it’s impossible to know if the record has to be released without looking at it. The DA’s office took a shortcut and lost. And with a little luck, it will soon have to pay a price. No wonder Seth Williams is running for the PSU Bot. With an understanding of the definition of the word “transparency” that is similar to Karen Peetz’ and the PSU legal department, he’d be a great fit.